After seven years as chairman of the embattled Baltimore Liquor Board, Stephan W. Fogleman announced today he will be stepping down to accept an appointment as an Orphans’ Court Judge. Fogleman, who unsuccessfully challenged City State’s Attorney Patrica C. Jessamy in the 2006 Democratic primary, was appointed to the three-member Board of Liquor License Commissioners by Gov. Martin O’Malley in 2007, along with fellow members Elizabeth C. Smith and Harvey Jones. Since then, he’s been open about his designs on a District Court judgeship. Reached today after obtaining some celebratory beverages “from a properly licensed establishment” on the way home, Fogleman said he’s looking forward to leaving the often controversial world of city liquor license regulation. 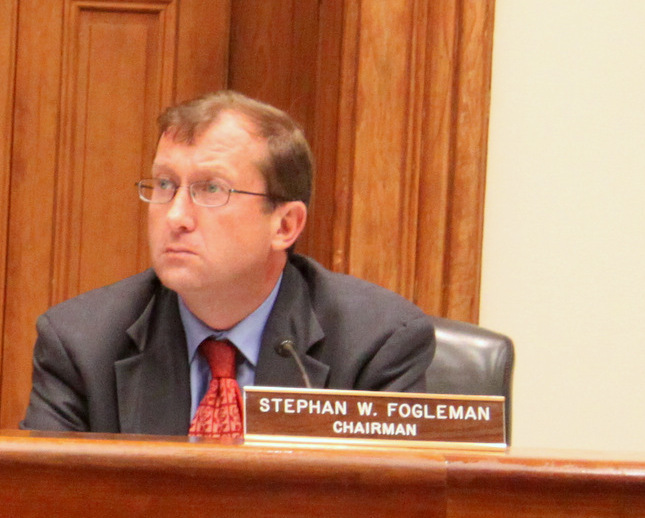 Fogleman said the Maryland Senate confirmed his appointment today and that he would be sworn in within 30 days. He said he wants to see the Board through a number of pending tasks before he formally steps down. “It’s ‘protest of renewal’ season. That’s a heavy workload. I want to assist with that,” he said. He also mentioned the legislation pending in Annapolis to respond to problems highlighted in a scorching audit of the Liquor Board released last year. “I want to see that bill through,” said Fogleman. Fogleman’s departure leaves a key vacancy at a time when another powerful position remains unfilled in the office – that of executive secretary. With the departure of Samuel T. Daniels Jr. from the $100,000-a-year job, which involves the day-to-day running of the office and supervising of liquor inspectors, community critics were already concerned about who would undertake reforms called for by the audit. There was additional concern when commission member Jones expressed interest in the executive secretary job, raising the prospect of potential conflict of interest, since commissioners typically hire the executive secretary. Fogleman declined to comment on the matter today except to say that the position has not yet been filled.